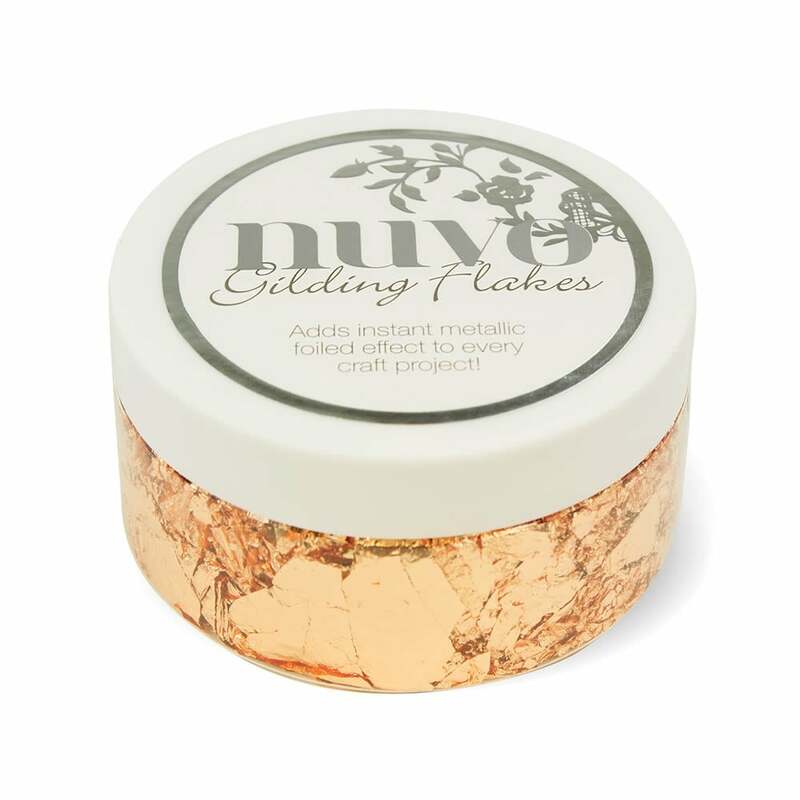 Copper Bullion is one of the first three colours in our Nuvo Gilding Flakes Range this is an on trend colour. They are great for adapting any crafting project that you’re making by giving it some extra shine and glamour. You can use the flakes to gild borders, it is great for covering large areas it’s easy to use. All you need is our Nuvo Glue Pens and once dry apply the Gilding flakes then brush away excess to put back for another time.